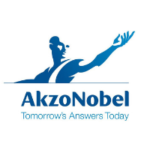 AkzoNobel has a passion for paint. We’re experts in the proud craft of making paints and coatings, setting the standard in color and protection since 1792. Our world-class portfolio of brands – including Dulux, International, Sikkens and Interpon – is trusted by customers around the globe. Headquartered in the Netherlands, we operate in over 80 countries and employ around 35,000 talented people who are passionate about delivering the high-performance products and services our customers expect.